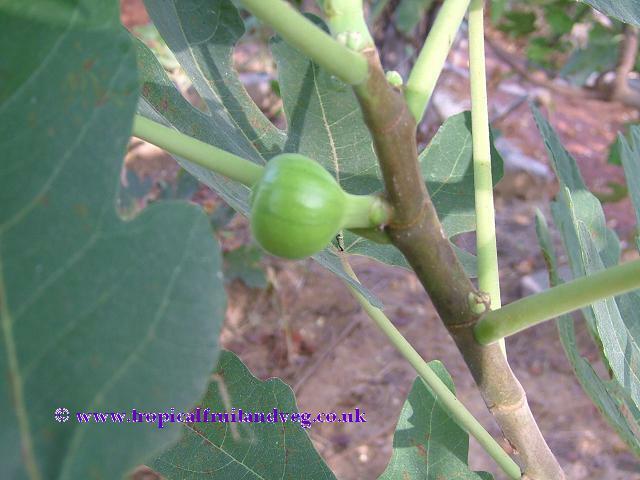 The fig tree is 3 � 9 m high, with numerous spreading branches and a trunk rarely more than 17 cm in diameter. It contains copious milky latex. The root system is typically shallow and spreading, sometimes covering 15 m of ground, but in permeable soil some of the roots may descend to 6 m. The deciduous leaves are palmate, deeply divided into 3 to 7 main lobes. The blade is up to 25 cm in length and width, fairly thick, rough on the upper surface, softly hairy on the underside. It may be ovoid, turbinate, or pear-shaped 2.5-10 cm long, and varies in colour from yellowish-green to coppery, bronze, or dark-purple. Tiny flowers are massed on the inside wall. In the case of the common fig, the flowers are all female and need no pollination. 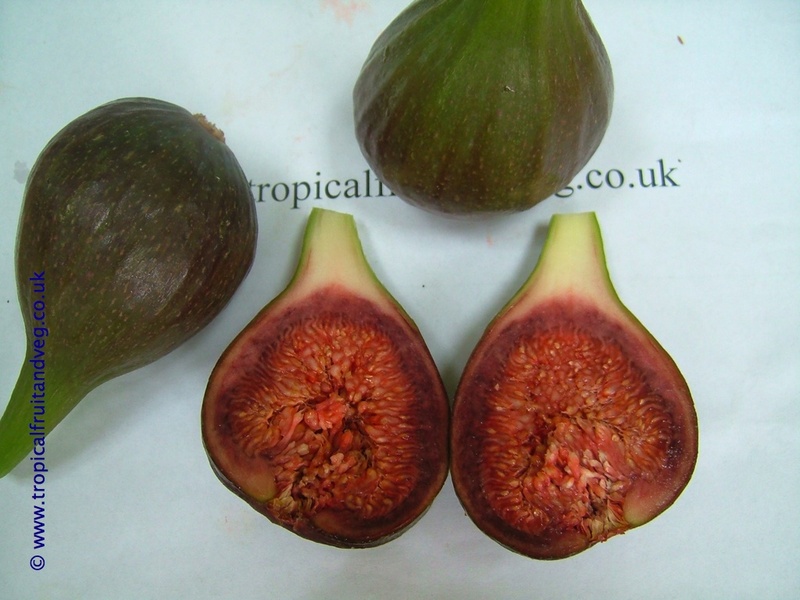 The skin of the fig is thin and tender, the fleshy wall is whitish, pale-yellow, or amber, or more or less pink, rose, red or purple; juicy and sweet when ripe, gummy with latex when unripe. Seeds may range in number from 30 to 1,600 per fruit. 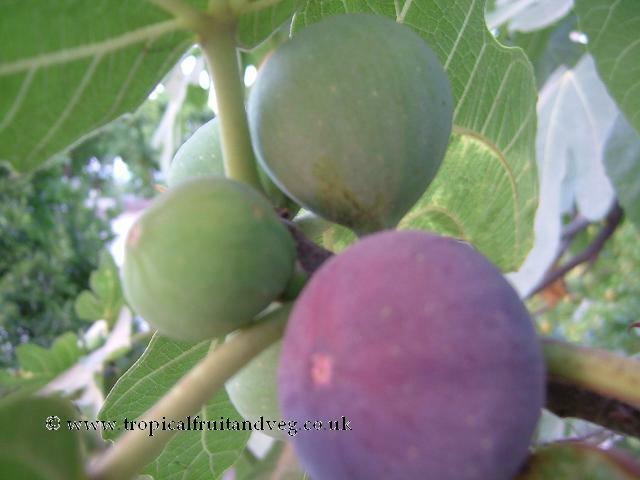 In tropical areas generally, figs thrive between altitude 800-1,800 m. The tree can tolerate 10� to 20� of frost in favourable sites. It should have a dry climate with light early spring rains if it is intended for the production of fresh fruit. Rains during fruit development and ripening are detrimental to the crop, causing the fruits to split. The semi arid tropical and subtropical regions of the world are ideal for fig-growing if means of irrigation are available. But very hot, dry spells will cause fruit-drop even if the trees are irrigated. 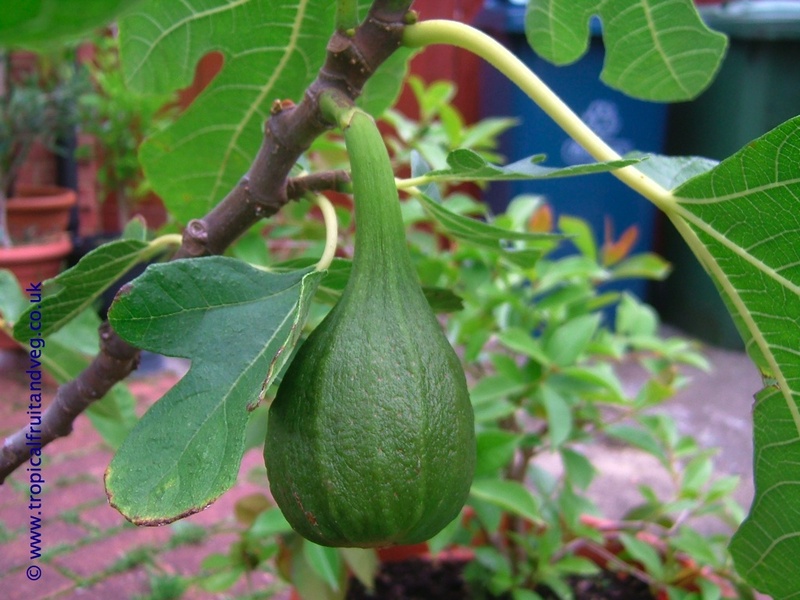 The fig can be grown on a wide range of soils; light sand, rich loam, heavy clay or limestone, providing there is sufficient depth and food drainage. Sandy soil that is medium-dry and contains a good deal of lime is preferred when the crop is intended for drying. Highly acid soils are unsuitable. The pH should be between 6.0 and 6.5. The tree is fairly tolerant of moderate salinity.